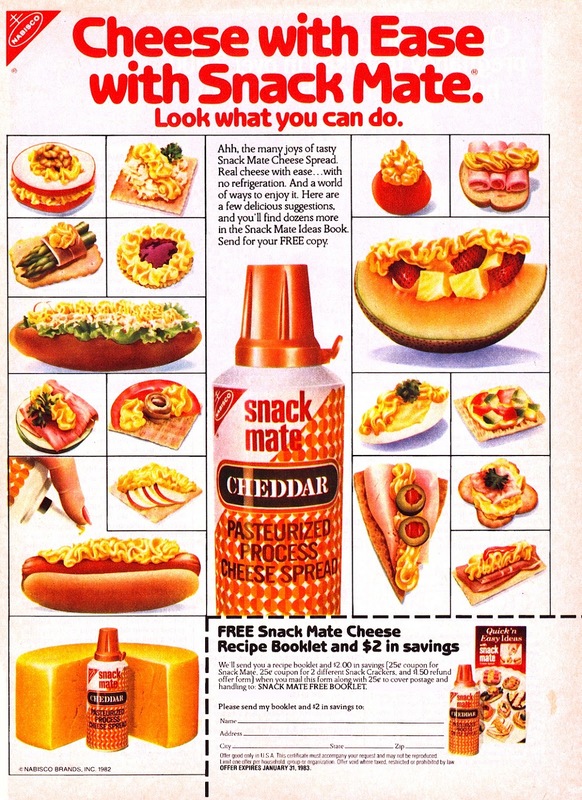 Before there was Easy Cheese, there was Snack Mate! 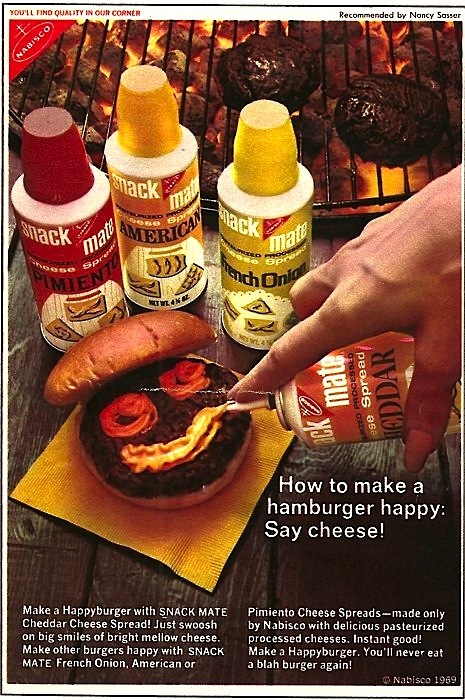 From 1966 through 1983, Nabisco Snack Mate was THE way to cheese-top your burgers, crackers and hors d'oeuvres. 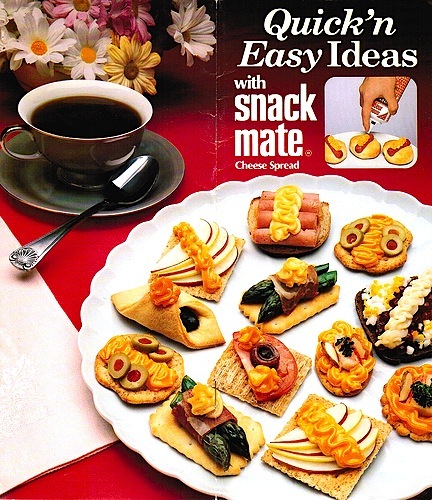 After Kraft and Nabisco merged, Snack Mate was renamed Kraft Easy Cheese in 1984.